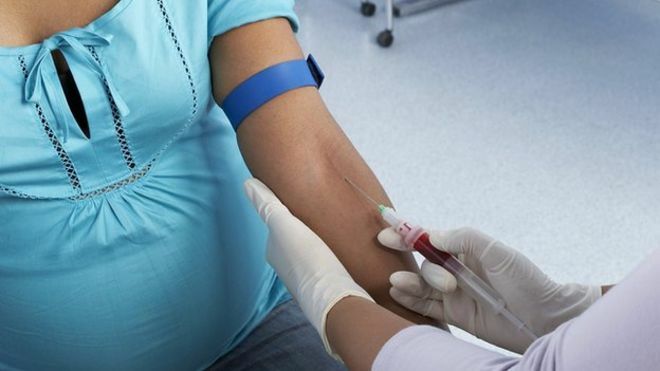 Cuba has successfully eliminated mother-to-child transmission of both HIV and syphilis, the World Health Organization (WHO) says. Cuba will sign this week the agreement that will leave officially constituted the second joint venture aimed at developing a large building complex linked to the activity of golf, east of the capital. Jose Daniel R. Alonso, Director of Business of the Tourism Ministry, confirmed on Monday that the association between state Cuba Golf and Chinese firm Beijing Enterprises Holdings Limited to implement the project in the area Monte Bello will be subscribed on Wednesday. The official explained reporters from 12 nations present at the 10th edition of the International Seminar on Journalism and Tourism that the project is valued at 462 million dollars and that it’s the second of its kind approved in the country to date. He recalled that the first joint venture for the development of real estate associated with golf courses was created in early 2014 with the British company Esencia Hotels and Resorts, which will boost an investment estimated at 360 million dollars near the island’s main tourist resort, Varadero. Daniel Alonso also told journalists that they expect to constitute the third joint venture by the end of 2015. Foreign ministers Bruno Rodriguez, from Cuba, and K. Shanmugam, from Singapore, signed visa exemption agreement between the two nations. A new of thick ring gauge vitola in one of the most historic brand within the Habanos portfolio. Por Larrañaga Picadores, a vitola aimed exclusively at Habanos Specialists and La Casa del Habano franchise stores, will be available to all markets worldwide in the next weeks. Por Larrañaga is one of the most historic Habanos* (D.O.P) brands, founded in 1834, it enjoys a well- earned reputation for its good presentation. The brand is characterized by a light to medium flavour and aromatic blend. All the Habanos have been made “Totalmente a Mano con Tripa Larga”, Totally handmade with long filler, with leaves selected the Vuelta Abajo* (D.O.P) Zone, in Pinar del Río. * (D.O.P) Cuba. Habanos introduces the Selección Petit Robustos presented in an elegant travel retail case: of just produced 5.000 boxes, that will surely become a valuable and special gift appreciated by Habanos enthusiasts, will be available in the different points of sales for Duty Free and Travel Retail in a couple of weeks. This beautiful case contains 10 Petit Robustos (50 ring gauge x 102mm in the length), a vitola widely accepted by the Cuban cigar lovers in those late years. This Selection includes five of the most prestigious Habanos brands: Cohiba, Montecristo, Romeo y Julieta, Partagás and H. Upmann. Cuba and the European Union (EU) made progress in negotiating a trade agreement during the fourth round of talks in Brussels ended on Tuesday, diplomatic sources reported. The Cuban Foreign Ministry said on its website the significant results obtained with regard to cooperation between the two sides during the meetings of the last two days. It also noted that the delegations expressed their positions and aspirations during an exchange on the chapter on political dialogue. The parties, led by Deputy Minister of Foreign Affairs of Cuba, Abelardo Moreno, and the executive director for the Americas of the European Action Service Exterior, Christian Leffler, agreed to meet again in September in Havana. The representatives of the Caribbean country and corroborated the bloc will continue to advance this process in order to conclude the negotiations as soon as possible, said Cubaminrex.